Clean your clothes to perfection without any dirt. 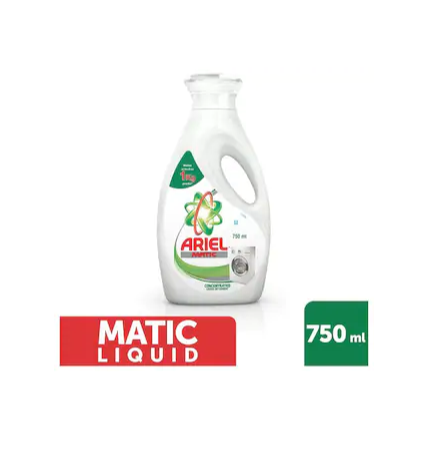 Buy Ariel Matic Liquid Detergent 750 ml at Rs.169 and get Rs.50 Recharge voucher only at Paytmmall which removes strong dirt with ease. 7 . Done !! You will receive the voucher to your mobile and e-mail. 8. Use the voucher on your next Mobile recharge. Applicable on payment of 1 On Mobile Recharge through Paytm . Mobile recharge voucher of worth Rs.50. Valid for 30 days after 10 days of delivery of product. Same voucher can be use 1 time, Valid for all the users. We reserve the right to end any or all offers at our discretion without any prior notice.This cash back offer is being extended by One97 Communications Limited for using “Paytm Payments” on marketplace run and operated by Paytm E-Commerce Private Limited. It can be used to pay for anything on merchants accepting “Paytm payments” platform.